Schaumburg, IL (March 2015) – Now available in North America through HEIDENHAIN Corporation, the Magnification Checker is the perfect tool to reliably assist machine vision users in qualifying the pixel size of any camera type. 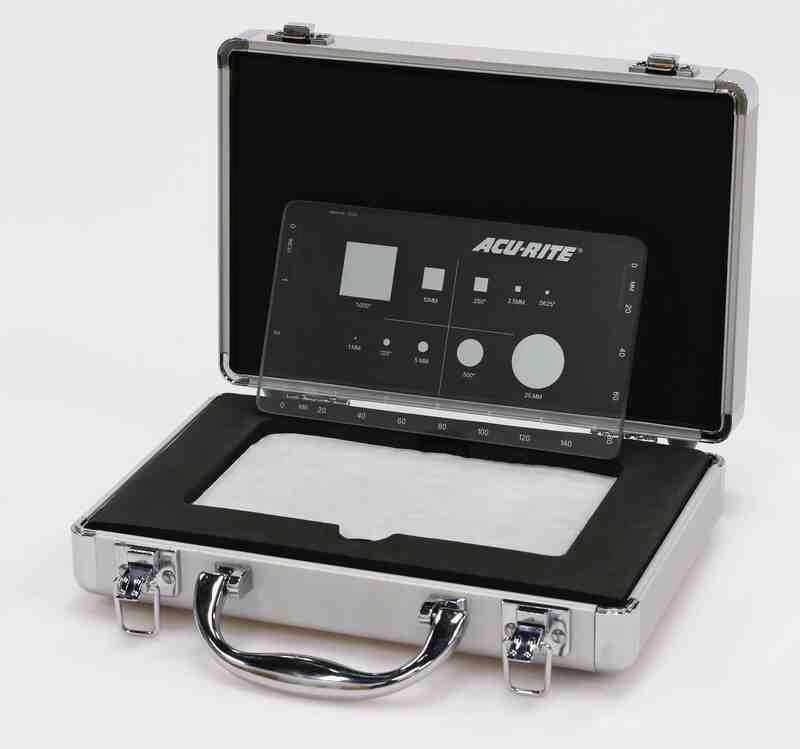 Originally produced by ACU-RITE (now a HEIDENHAIN brand), the “Mag Checker” is well established, and is now produced at IMT in Switzerland, a HEIDENHAIN-owned high precision glass company where improvements in the glass and printing processes have been implemented. The Mag Checker features multiple precise, variably sized artifacts imprinted on its glass surface to allow users to view the images through a camera and lens system. Due to varying application requirements to measure different sized features, multiple magnification levels are necessary. Using the Mag Checker in tandem with Evaluation Electronics such as HEIDENHAIN’s ND1300 metrology digital readout or the PC-based IK5000 metrology system, users can quickly change mag levels, and teach and store pixel sizes at each level.